David Harwood BVetMed, MRCVS: David qualified from the Royal Veterinary College in 1974, and worked in farm animal practice until 1983. He then joined the Ministry of Agriculture (now Defra) working for 30 years as a veterinary investigation officer, focusing on the investigation of farm animal disease and production problems by post mortem examination, laboratory testing and field investigation. He has a special interest in ruminant health and welfare, and farm animal disease surveillance. He was President of the British Cattle Veterinary Association in 2002 / 2003.He is currently working as an independent veterinary consultant, is an Honorary Veterinary surgeon to the British Goat Society and Chairman of the Goat Veterinary Society. 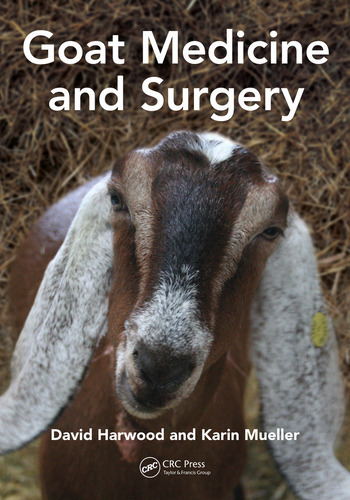 He is an honorary reader in veterinary pathology at the University of Surrey, and a visiting lecturer at a number of UK Vet Schools on goat health and welfare. 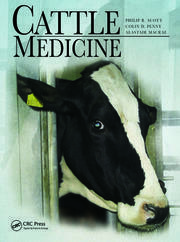 Karin Mueller MVSc DCHP DECBHM MRCVS: Karin graduated in Germany and worked in private practice and academia in a variety of positions in the UK and New Zealand, including leading the farm animal clinical section at Cambridge veterinary school for over a decade. She completed a MVSc in Theriogenology, holds both the European and RCVS Diploma in cattle health, and is a European Specialist in bovine health management. In addition to her expertise in ruminant medicine, Karin has been involved with South American Camelids since 1999, greatly contributing to the advancement and further understanding of health and disease in these species. She was awarded the Felipe Benevides Trophy in recognition of her contributions to the camelid industry in 2012. Karin regularly speaks at national and international conferences and has authored numerous publications in the fields of bovine, caprine and camelid medicine. She is particularly interested in reproduction, medicine, and soft tissue surgery. Karin is now a Senior Lecturer in reproduction and animal husbandry at Liverpool University, and works as a consultant in camelid and bovine medicine.